I love TOMS’ commitment to donating one pair of shoes to children for every pair sold, BUT I’ve struggled with buying TOMS because of the style options. For the most part, the ultra-casual slip on has not managed to impress me. When I gathered opinions from my Twitter peeps, the majority of the responses centered around “great cause, not-so-great style.” Nooo. What’s a girl to do? Well, enter my friend, DG. 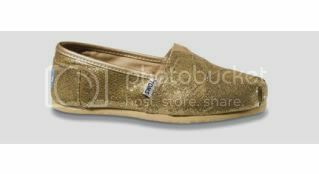 I hung out with her yesterday and noticed that she owns the glittery TOMS in silver and gold. So, of course, I had the this same conversation with her, only to find out that she’s low-key obsessed with the shoes! She owns four pairs, bought a pair for her son, AND a pair for her brother. So, in honor of DG, I am re-examining the TOMS collection and digging up a couple of pairs that I would be interested in. You know, for the ultra-casual days! And, a couple of ones perfect for the spring/summer time. DG made me a believer as she talked about how the shoes give her a comfy break from the 4 and 5 inch heels that she loves to wear. I think I’m starting to drink the Koolaid because while writing this post, I’ve wholeheartedly convinced myself that I need the neon aqua fade TOMS in my life immediately! For those of you all who still don’t believe that the company donates a pair of shoes to children for every one sold, BELIEVE IT! Since 2006, they’ve donated 140,000 shoes to children around the world, and this year, their goal is to distribute 300,000 shoes! It’s hard to argue with numbers like those. You can read all about their commitment here. They also have tons of videos from their “shoe drops” on their YouTube channel. 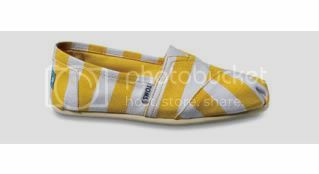 You can either buy the shoes online at tomsshoes.com or at a boutique/retailer near you. For my Chicago peeps, the AKIRA women’s shoe store (North Avenue) carries them! Very nice to visit your blog and found very interesting. I also have a blog http://www.philanthropist.org, it is Philanthropist.org: A market-based micro-philanthropy exchange that joins charitable donors with workateers. Great post! When I featured TOMS in my Dressed to Give post on shoes a while back, I love, love, loved their mission but their style didn’t mesh well with my usual 4+ inch heels. I wanted to love them, but was skeptical I would ever wear them. The past few weekends, I’ve been running into them at stores and re-thinking my stance…maybe I DO need a cas pair of shoes? Your post solidified my decision (esp the sparkly style). I’m buying a pair!! Thanks! Interesting take on the style behind TOMS Shoes. I’m pretty casual and was drawn to several styles online. But what about the fit? TOMS says buy true to size and sells in half sizes, but is that your friend’s experience? How’s the fit? I feel so behind, but quickly catching up. I’ve only just discovered TOMS Shoes … who they are and what they do. Very inspirational. glad you’re spreading the word. Thanks for picking my TOMS as a style you like! I concur, these are pretty casual kicks, but sometimes that’s what you need! 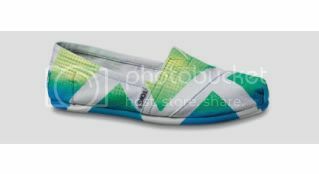 I personally hand paint all the neon web-exclusives to order, and we now offer TINY TOMS kids shoes! I have five pairs of toms and I love them all!!! My favorite are my white ones that I spray paint white whenever they get dirty.. They look like white patent leather and I get tons of props whenever I wear them. They’re great for guys b/c 1) we don’t have that many footwear options and 2) look great with pants, jeans, linen pants, cargo shorts, dress shorts, underwear, EVERYTHING!